A CNC machined chain catcher that bolts onto the front mech bolt. Will also work with some clamp on front mechs. Supplied with various fittings, i.e. curved wascher and 3 different length bolts. Sand blasted finish, black anodised. Features small hook to stop chain falling below catcher under extreme conditions. Beautifully CNC machined jockey wheels. Red anodised with maximum cut outs for ultimate weight saving. Running on sealed bearings with additional bushing to allow slight side to side auto-alignment. 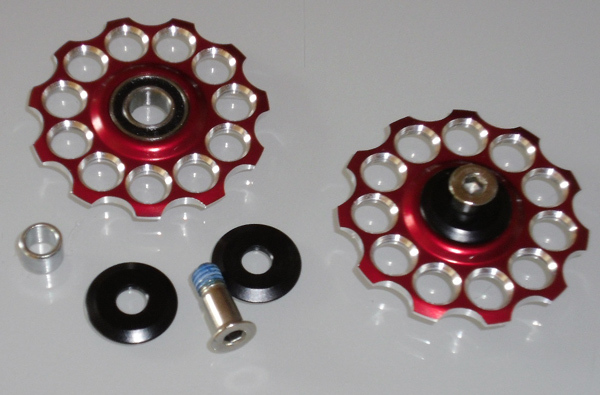 8.3 mm overall width, fits most current rear mechs, up to 10 speed compatible. 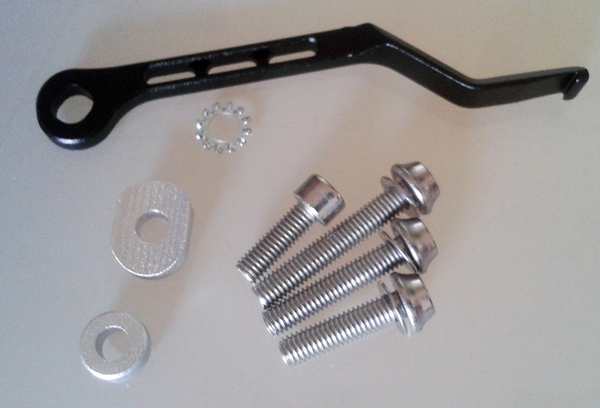 Supplied as pair with retaining bolts. Weight: 18 grams per pair.